As promised, billionaire investor Carl Icahn sent a seven page letter to Apple shareholders on Thursday, but not before buying an additional $500 million in the company, bringing his total share ownership to $3.6 billion. Icahn's open letter suggests that shares of Apple are worth $840 each, 52 percent higher than the current trading price. The purpose of the letter, however, is to push Apple to again repurchase shares, something the firm has been reluctant to do – against Icahn's wishes. "The company has recommended voting against our proposal for various reasons. 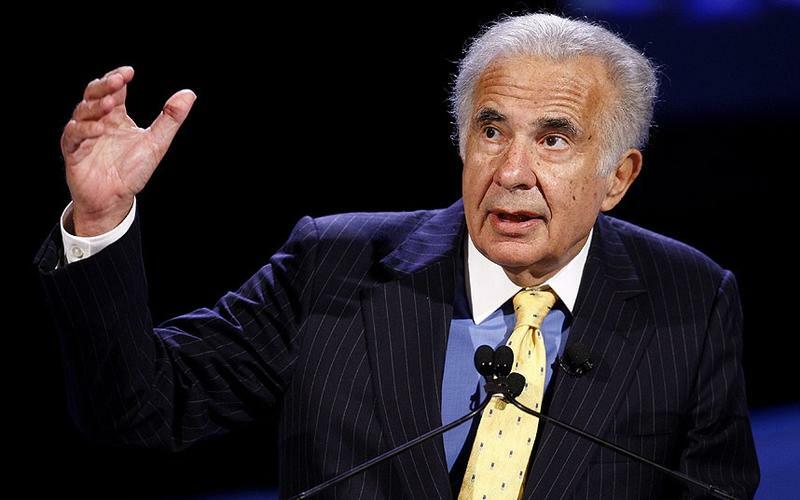 It seems to us that the basis of its argument against our proposal is that the company believes, because of the "dynamic competitive landscape" and because its "rapid pace of innovation require[s] unprecedented investment, flexibility and access to resources", it does not currently have enough excess liquidity to increase the size of its repurchase program," Icahn said in a letter, also filed with the SEC. Icahn went on to say that Apple is being too conservative by these decisions, however, and even "irrational" since it has enough cash to continue investing in existing and future projects, as well as buying back shares. "Given the degree to which Apple appears undervalued to us, we almost feel that it's a waste of time to debate the point," Icahn said. He suggests that the company is a great buy even with the products it already has, but also believes Apple has a huge opportunity to gain from new products and services it has promised to deliver, including a rumored Apple iTV. Icahn believes the set could sell for $1,600 with a 37.7 percent gross margin, adding $15 billion to annual operating income. There's a lot more to the letter, but the point is Icahn is trying to get other shareholders to see the value in pushing Apple to repurchase shares, and the growth that he believes is ahead. " We believe this action will greatly enhance value for all long term shareholders who believe, as we do, in the great potential of this company," Icahn said. In closing, he again asked Apple shareholders to consider one of the "greatest examples of a 'no brainer'" move he has seen in 50 years.